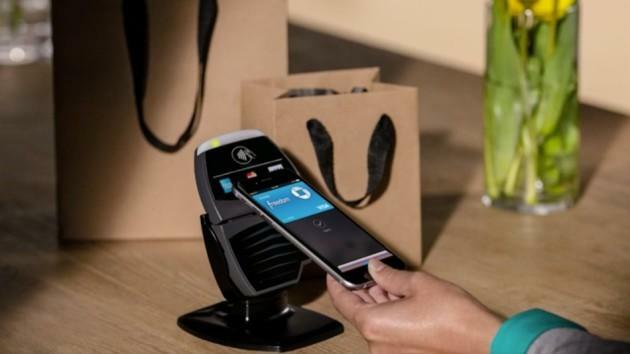 Apple Pay is set to launch next month in the United States. If you're unfamiliar with the platform, it's Apple's new mobile payment initiative that utilizes NFC in the iPhone 6 and iPhone 6 Plus and will allow users to place payments at point-of-sale counters. We haven't heard any details on when Apple will expand to other countries, but a new hire suggests it's working aggressively to bring Europe online with Apple Pay as soon as possible. According to PaymentEye, Apple recently poached Visa Europe's director of mobile, Mary Carol Harris, to lead its Apple Pay expansion in Europe. The site noted that Harris has expertise in NFC-based mobile payments and likely has the right contacts at European banks to build similar partnerships to what Apple has already established in the United States. In other words, it sounds like if anyone is the right fit for the Apple Pay job in Europe, it's Harris. At Visa Europe, Harris likely had close contact with the company's partners, including banks and other providers in more than 37 countries, which is exactly the type of contact that Apple's going to need. We don't yet know Apple's plans for European expansion and when/if it will start soon, but it sounds like Apple's definitely making a concentrated effort to get it off the ground.